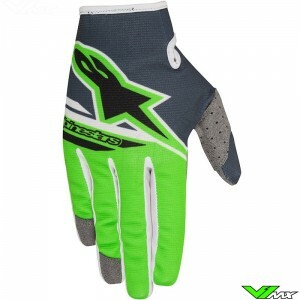 A wide range of motocross gloves can be bought easily and fast at V1mx. Shop the best motocross gloves from top brands such as Alpinestars, Answer and UFO. More information about the technical features and different types of gloves can be found at the bottom of the page. These gloves are specially developed for use during motocross and enduro riding. It is an important connection with the control components of your dirt bike. In addition, it must offer the rider freedom of movement and comfort, without compromising the feel over the dirt bike. The characteristics you should look out for when purchasing a new set of motocross gloves are explained here. More expensive motocross gloves generally have better materials and finish. An example of this is the finishing of sewing edges. With the more expensive gloves the sewn parts on the inside contain less material, offering better comfort to the rider. They also have better materials which often offer better freedom of movement and ventilation. Due to the large variation in weather conditions, there are also different types of material used for the construction of the motocross gloves. The standard motocross gloves offer lots of ventilation. For colder conditions there are versions available that offer insulation and wind protection. For enduro riders there are also versions available that have protection on the knuckles. The protection is often made of carbon fiber or plastics and provides a cushioning during the impact of stones and branches. Protection on the fingers is also ideal on motocross tracks where the surface contains many stones. The last feature is grip and control. Many modern motocross gloves have a layer of silicone on the fingers, which proves extra grip and control over the brake and clutch lever of your dirt bike. The palm material also affects the control and comfort of the rider. There are versions available with double layer palm material for extra comfort and protection against blisters. Single layer palm material is a features you will often find on minimalistic motocross gloves. Dirt bike gloves are available in many shapes and sizes. 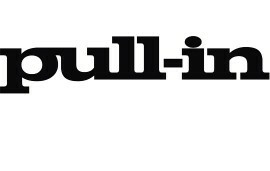 Below you will find more information about the 3 most popular types. 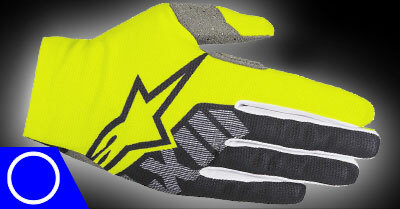 These gloves are mainly designed for motocross riders. They are equipped with simple features such as a thin palm material and a ventilated top material. In recent years the slip-on gloves became very popular. The slip-on versions have an elastic piece at the wrist that keeps the glove in position. A the title suggests, these motocross gloves are designed for use in the winter and cold weather. They often have a neoprene material that provides good insulation and stops wind. 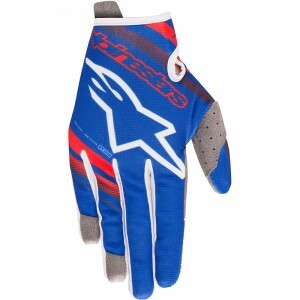 This makes the winter motocross gloves perfect for beach races, where strong winds often occur. Alpinestars produces the neo line which offers great performance for an affordable price. These gloves have extra protection which makes them perfect for enduro and trail rides. The enduro gloves are often equipped with carbon or plastic protection on the knuckles and finger paws, to provide protection against enduro conditions. Most enduro gloves are designed to offer good comfort, even during long journeys. 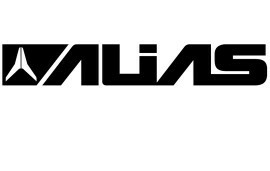 V1mx has a separate page where you can find all enduro gear, such as enduro boots and jackets. At V1mx you will find a wide range of top brands. The most popular brands are listed below. 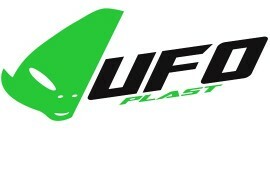 The company UFO Plast has more than 50 years of experience in the production and development of motocross gear. Good quality materials and a lot of attention to quality ensures comfortable equipment. There is a variation of different models available for all off-road racing disciplines. The motocross gear by Answer is best known in the motocross community for the good quality at an competitive price. Answer has a wide range of colors and models that perfectly match the pants and jerseys. 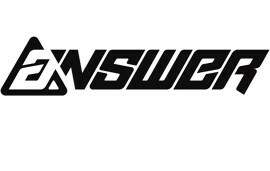 Answer also has useful products for off-road and trail riders. One example is the special mud gloves, which is equipped with rubbers studs that provide excellent grip in all conditions. 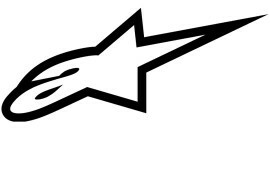 Alpinestars is an Italian company that is an expert in motorsport clothing and protection. 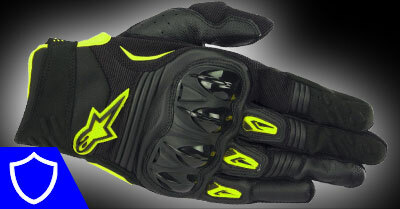 They produces gloves for all types of sports, from formula1 to motocross. The knowledge of materials and productions techniques of all these sports is used to improve the motocross gear. The result is top quality motocross gloves that give perfect control over the dirt bike and also have excellent levels of durability and flexibility. 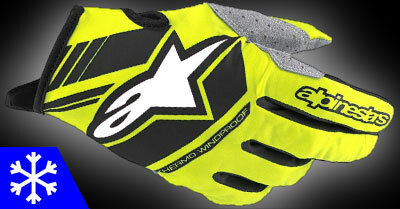 In the collection of Alpinestars you will find all kinds of gloves, from enduro to dedicated motocross. Do you have a question about the products or about the ordering process? Feel free to ask our customer service, we are happy to help you. The size of motocross gloves differ per brand and model. With each product, V1mx has created a matching size chart, which allows you to find the right size easily and fast.